At the end of the school day, you'll probably want to wind down and watch a movie or show, but sooner or later, your laptop screen just won't cut it. 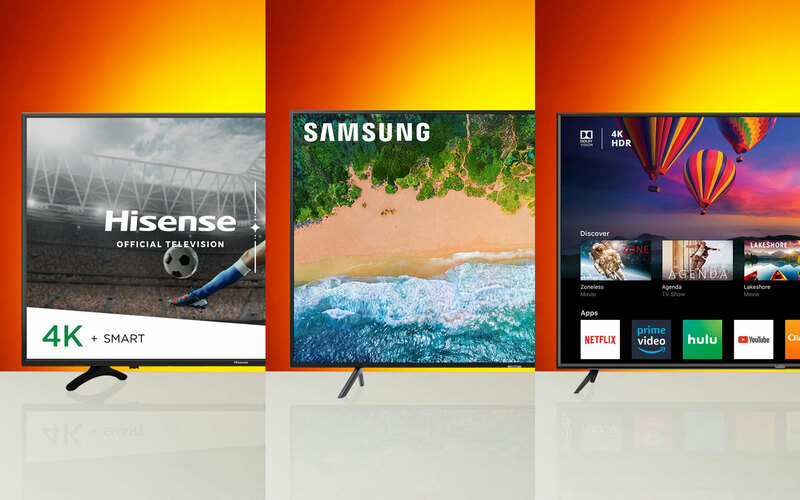 There are lots of choices when shopping for TVs, so here are the best options that fit a variety of dorms and apartments. For the purposes of our back-to-school guide, we focused on models that came in at $500 or less. While there are even less expensive models out there, we recommend spending a bit more for a 4K TV, as there's now more content available for it. Samsung's 43-inch NU7100 Smart 4K UHD is a solid choice that won't take up too much space. If you're not short on room, consider Vizio's 50-inch E-series 4K HDR, or even going for the less feature-heavy but lower-priced Hisense 55-inch 4K UHD. Any of these will be welcome choices that are likely to hold up for years -- well past graduation, even.